Demonstrates to the World Unprecedented Lighting Possibilities of LED Technology; Philips to host "Make Your New Year Sparkle Twitter Sweepstakes - #NYECountdown"
New York, U.S.A. – Philips continues to bring innovative LED technology into the lives of millions by lighting the world-famous Times Square New Year’s Eve Ball. 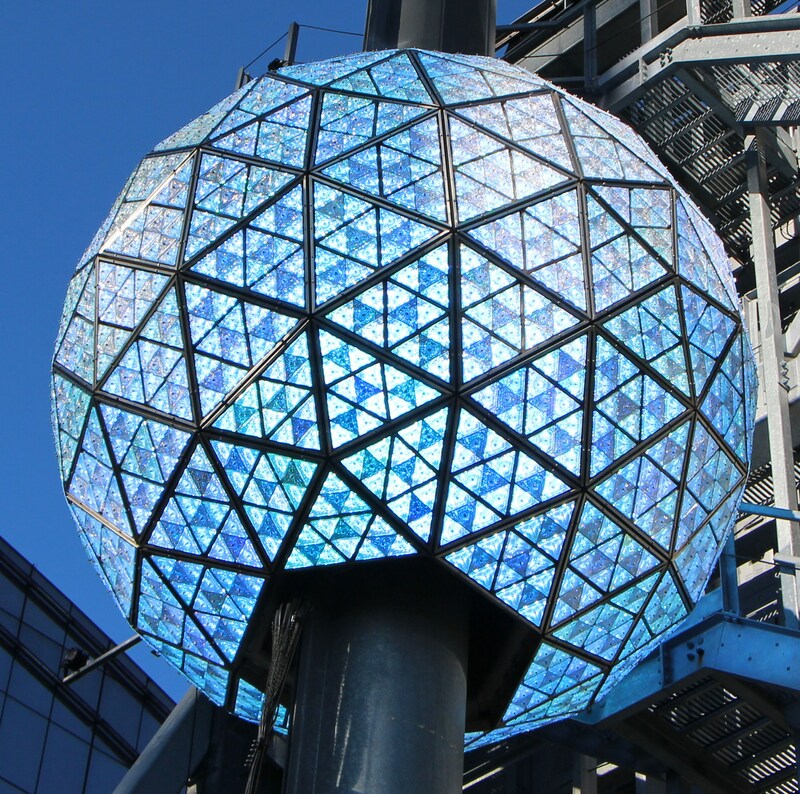 New Year’s 2013 marks the 13th consecutive year Philips has served as the official Lighting Partner to the iconic Times Square Ball. The LED lighting on the Times Square Ball demonstrates the latest in innovative LED technology and ushers in a new era of lighting that delivers energy savings, greater light quality, longer bulb life, and dimmability to existing lighting fixtures. The same innovative technology used in the Ball is commercially available to consumers to use in their home, and continues to become the new standard in lighting. This includes the redesigned Philips LED A-19 bulb, the LED replacement for the traditional 60 watt lamp. The A19 LED bulb reduces energy consumption by 85 percent, lasts 25 times longer, and can save consumers an estimated $134 in electricity costs during its lifespan, as compared to the traditional 60-watt incandescent. According to a recent Philips survey, almost 60% of people agree that light plays an important role in setting the right mood for a special occasion, such as New Year’s Eve*. In addition, 60 percent of those surveyed report that lighting is important in improving someone’s overall mood. Of those surveyed, 30 percent are very familiar with LED lighting solutions. When asked about the benefits of LED technology, 71 percent of respondents cite energy efficiency, and 61 percent agree that LEDs last longer than traditional incandescent bulbs. However, there is a significant knowledge gap about other important benefits, such as color quality, customizable hues and brightness, and the ability to integrate with existing fixtures. To help raise awareness of how LED lighting can enhance people’s lives, Philips is hosting the Make Your New Year Sparkle Twitter Sweepstakes running Dec. 28, 2012 – Jan. 3, 2013. Using “#PhilipsNYECountdown,” entrants could win a new lighting entertainment kit for the home by tweeting about how Philips lighting can enhance a New Year’s celebration**. Visit http://www.usa.lighting.philips.com/connect/newyears/index.wpd for more details. Like the 32,256 Philips LUXEON LEDs that light the glittering Times Square Ball, the commercially-available Philips LED bulbs consume up to 80 percent less energy than traditional incandescent bulbs, reaping significant savings for consumers who switch to Philips LEDs. For example, if everyone in the U.S. transitioned to energy-efficient lighting in their homes, consumers would eliminate 87.5 million metric tons of carbon dioxide and generate energy savings of $15.8 billion. For more information about Philips lighting products for the home, visit http://www.usa.philips.com/c/led-light-bulbs/30033/cat/en/. Jeff Strauss, president of Countdown Entertainment (left), and Ed Crawford (right) turn on the Philips switch to officially kick off the New Year's celebration. The survey was conducted in partnership with Opinion Research Corporation (ORC) among a national sample of 1,003 adults, 503 men and 500 women 18 years of age and older, living in the continental United States. Interviewing for this survey was completed on November 15-18, 2012. 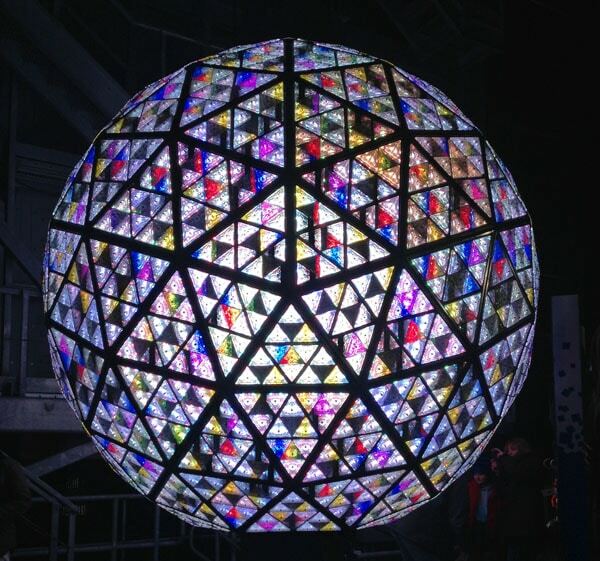 The glittering New Year&apos;s Eve Times Square Ball is it by 32,256 Philips LUXEON LEDs. The same innovative technology from Philips seen here in the Times Square Ball is commercially available to consumers to use in their home, and continues to become the new standard in lighting. Royal Philips Electronics (NYSE: PHG, AEX: PHIA) is a diversified health and well-being company, focused on improving people’s lives through meaningful innovation in the areas of Healthcare, Consumer Lifestyle and Lighting. Headquartered in the Netherlands, Philips posted 2011 sales of EUR 22.6 billion and employs approximately 122,000 employees with sales and services in more than 100 countries. The company is a leader in cardiac care, acute care and home healthcare, energy efficient lighting solutions and new lighting applications, as well as male shaving and grooming, home and portable entertainment and oral healthcare. News from Philips is located at www.philips.com/newscenter.